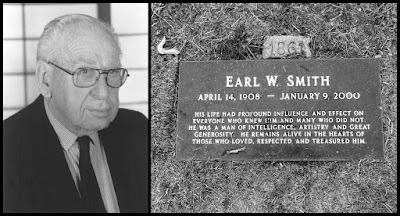 Earl W. Smith's was a pioneer in the construction of affordable housing, who is best remembered for designing and building the "Flat Top" home. He developed the home in 1947 in order to open the door to home ownership to thousands of post World War II Californians. The key to the design was a flat topped home built atop a concrete slab. The home was so popular that it appeared in the September 10, 1951 issue of LIFE magazine in a feature on the "Best Houses under $15,000." After World War II, building supplies were scarce and President Harry Truman had signed a bill easing down-payment requirements. Smith seized on the opportunity building over 2,000 homes a year that ranged in price from $6,795 for a two-bedroom home to $8,250 for a deluxe three-bedroom home with 1,300 square feet of living space. Smith estimated that the flat top roof saved him about 4% on building costs. Smith was dubbed "Flat Top" after the popularity of his homes took off. Many of the homes were built in El Cerrito, El Sobrante and Richmond, California. His design had a great influence on both two noted builders of homes, California’s Joseph Eichler and Kansas City's Donald Drummond. Eichler closely studied the construction techniques of Smith, particularly the poured concrete floors and flat roofs and modeled his earliest housing development, the 104-unit Sunnyvale Manor, on Smith's designs. Smith eventually switched to building California's first zero-lot line homes in the 1960s. These also allowed him to cut costs by building the more tradition-style home but with low-pitched roofs and "compact" lot placement allowing families to buy into the "American Dream." In the early 1940's, Smith was one of the founding members of the Association of Home Builders of the Greater East Bay. This group represented home builders in Alameda and Contra Costa Counties, and soon joined six other associations in the state to form the then Home Builders Council of California. He became its President in 1948. In 1955, "Flat Top" was elected President of the National Association of Home Builders. As President, he brought about the first official "people to people" exchange with representatives of the Soviet Ministry of Construction and the heralded "Homes for Korea" program. In later years, he also helped establish an improved housing industry for the country of Equador. 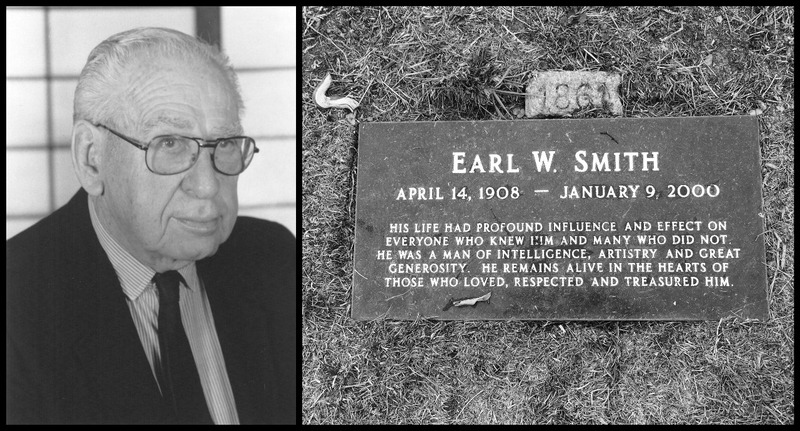 ​In 1978, Mr. Smith was inducted into the National Housing Hall of Fame. He was honored by the National Association of Home Builders Research Institute for promoting "improved building techniques, more economical construction methods, and fundamental improvements in the standard of American housing." Smith was also a Regent of St. Mary's College in Moraga, where he also served as a guest lecturer in the Graduate School of Business. New York native Lucius Anson Booth, was a Forty-Niner who arrived in California via Mexico. 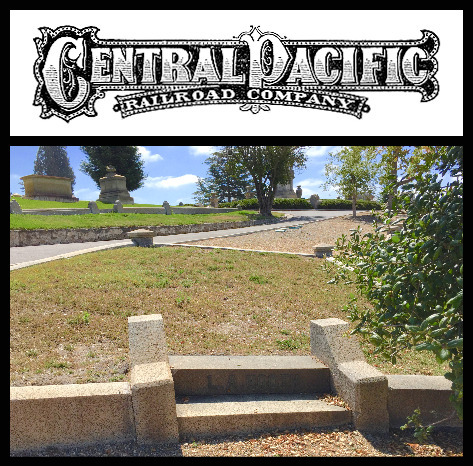 He was one of the original incorporaters of the Central Pacific Railroad with the Big 4 - Leland Stanford, Mark Hopkins, Charles Crocker and Collis B. Huntington. In 1860, the five men, along with Theodore Judah, James Bailey, Charles Marsh and John Marshall, learned about an unused wagon trail across Donner Pass. They decided to organize the Central Pacific Railroad and funded the survey that convinced Congress to approve the Western portion of the transcontinental railroad. The Pacific Railway Act was passed by Congress in July 1862 and signed into law by President Abraham Lincoln. The nine men bickered about numerous business issues and the board often split 4-4 on key votes (with Marsh often absent). The company faced numerous financial and technical challenges, including the inability to find workers after the Civil War. Over the next six years, the Central Pacific brought in 13,000 workers who were mostly Chinese. The immigrant workers laid 690 miles of track over the Sierra Nevada's and over 1,500 died from avalanches, freezing weather and dynamite explosions while making tunnels. They were paid $26 a month and had to buy their own rations. 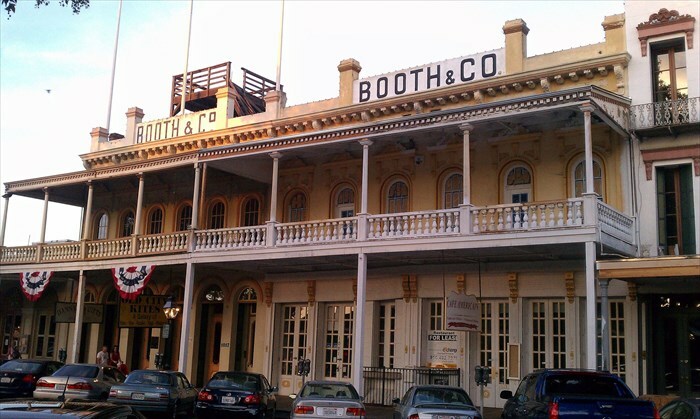 Booth made a fortune in mining, which he invested in founding a wholesale grocery business on J Street in Sacramento, which at various times was known as Booth & Company, Booth, Adams & Company and Forshee, Booth & Company. One of the investors in the business was his cousin Newton Booth, who was the 11th Governor of California. In April 1877, he became an investor in James Gamble's 350-acre tract of land that he purchased from Walter Blair, which became the Piedmont Land Company. The property was subdivided and sold to individual land owners. He died at his residence, known as Hazelwood, on Hazel Lane in Piedmont. 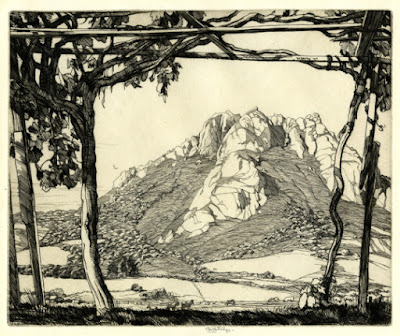 Roi George Partridge (October 14, 1888 – January 25, 1984) was an American printmaker and teacher. He was born in Centralia in the territory of Washington on October 14, 1888. At age four he moved with his family to Seattle, Washington, where his father worked as a typesetter and later owned the local newspaper. In Seattle, Partridge was one of three Seattle artists who worked together under the name "The Triad". The others were painter John Butler and miniaturist Clare Shepard Shisler. Also in their circle were photographer—and Partridge's future wife—Imogen Cunningham, and painters Mabel Lisle Ducasse and Yasushi Tanaka. In 1909 the budding artist traveled with Butler to New York City for one year of art study at the National Academy of Design and then studied etching in Munich. His next three years were spent in Paris where he worked as a printmaker under the mentorship of Bertha Jaques. When the German troops were approaching the French capital in 1914, Roi returned to Seattle. When 44 of his etchings were shown at the Panama-Pacific International Exposition in 1915, he decided to make California his home. After moving to San Francisco in 1917, he began teaching at Mills College in Oakland, California in 1920 and became the first director of the school's art gallery. 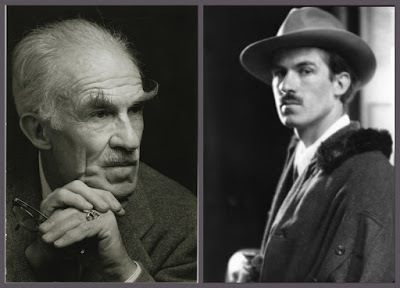 His marriage to photographer Imogen Cunningham in 1915 ended in divorce in 1934. 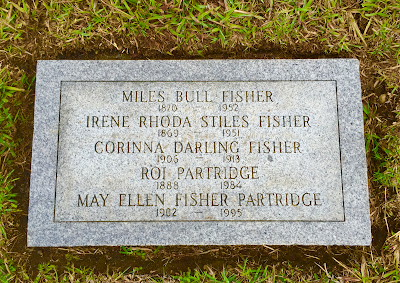 They had three sons, including photographer Rondal Partridge. 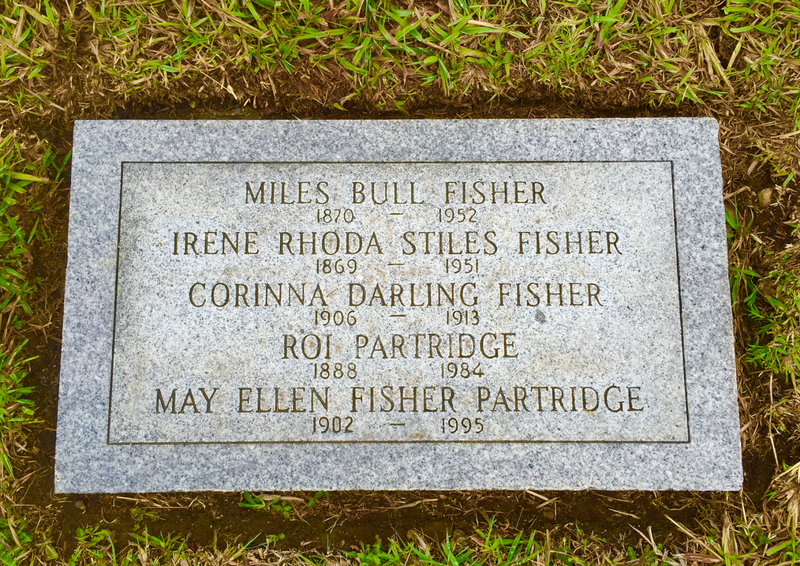 His second wife, artist Marion Lyman, died of cancer in 1940; his third wife was May Fisher. 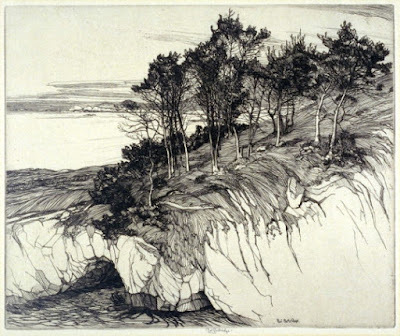 Partridge took a leave of absence from Mills College in 1946, continued etching until 1952, and retired in 1954. His last years were spent in Rossmoor in Walnut Creek, California, where he died on January 25, 1984. The Amarillo Museum of Art (Amarillo, Texas), the Bancroft Library (University of California), the British Museum, the Brooklyn Museum, the Honolulu Museum of Art, Mills College, the Mobile Museum of Art (Mobile, Alabama), the New York Public Library, the Oakland Museum, the San Diego Museum of Art (San Diego, California), the University of Michigan Museum of Art (Ann Arbor, Michigan) and the Weisman Art Museum (University of Minnesota) are among the public collections holding works by Roi George Partridge.